A skin allergy can really ruin your day. You've just tried out some new makeup or are relaxing at a fabulous cabin in the woods, and your skin starts to itch or burn. You look in the mirror and discover that you've broken out in a rash that's far from glamorous. Here's some information about skin allergies and some ideas on how to deal with them. Allergic reactions are an effect of the body's immune system, the system of white blood cells and antibodies that fights off infection. In some people, however, the immune system also reacts to things that aren't really dangerous. Some people's immune systems react to certain foods, metals like nickel or gold, plants like poison ivy, or ingredients in makeup or shampoo. Nobody knows exactly why this happens, but there seems to be a genetic connection. Allergies tend to run in families. The effect of a skin allergy can be mild, like a slight rash. It can be more pronounced, with itchy bumps or blisters. In severe cases, the reaction can affect the entire body, causing swelling and breathing problems. Anyone, of any race or nationality, can develop a skin allergy. However, they seem to be more common in women than in men. They can occur in people of any age, although they are less common in young children. Some people are allergic to multiple things, while others have only one or two triggers. People who have skin allergies do not necessarily have hay fever or other allergic reactions. The rash of allergic contact dermatitis is usually itchy. 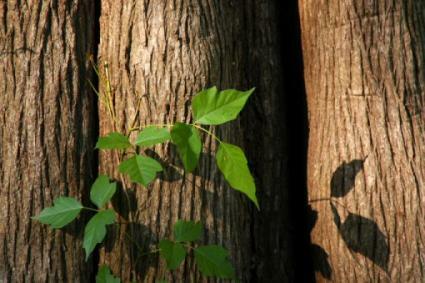 It may have small blisters, called vesicles, as in the classic poison ivy rash. It may look like hives, which are raised red or skin-colored bumps. If there are blisters, they may break open and leave behind tender, irritated skin or small bumps that slowly go away over several days. Sometimes the cause of the rash is obvious. If you just got new earrings and now your earlobes are inflamed, or the rash follows the pattern of your new necklace, it's pretty clear that you should avoid that jewelry in the future. The same goes for a new makeup product or skin cream. On the other hand, the culprit may be less obvious. Is the rash on your arm caused by your laundry detergent, the moisturizer you just applied, or the dye in your new sweater? To complicate matters, it's entirely possible to develop a new skin allergy to something you've used regularly for some time. To find out for sure what's causing your rash, your doctor may do a "patch test." He or she will put small bandages containing possible allergens on your skin and leave them in place for a few days. When the bandages are removed, your doctor will be able to see which substance or substances caused a rash. Steroid skin creams are often the first line of treatment. Low-dosage creams are available at the drugstore. A doctor can prescribe a stronger one if needed. Some people are actually allergic to the steroid creams; don't use one if you've had a reaction in the past, and stop using it if your symptoms worsen or don't improve. Very severe allergic contact dermatitis may benefit from oral or injected steroids. It's up to your doctor to decide exactly what treatment is needed. Cool compresses and lukewarm baths with colloidal oatmeal can help with the itchiness and discomfort. Antihistamine tablets, such as over-the-counter allergy medicines, might also help. Of course, avoiding the irritant in the future will prevent a recurrence.